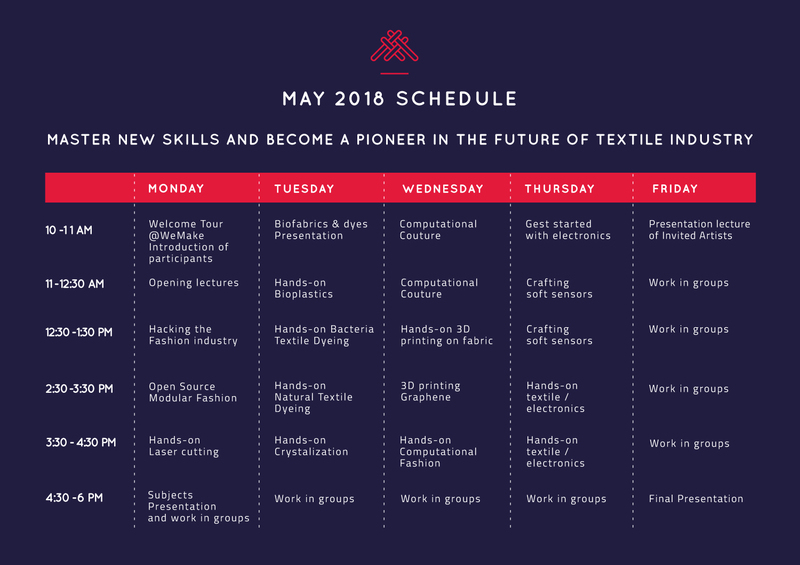 Fabricademy is a transdisciplinary course that focuses on the development of new technologies applied in the textile industry, in its broad range of applications, from the fashion industry and the upcoming wearable market. The two phase program will last 6 months, with approximately 3 months of seminars and learning modules and three months focusing on individual in depth applied project research. 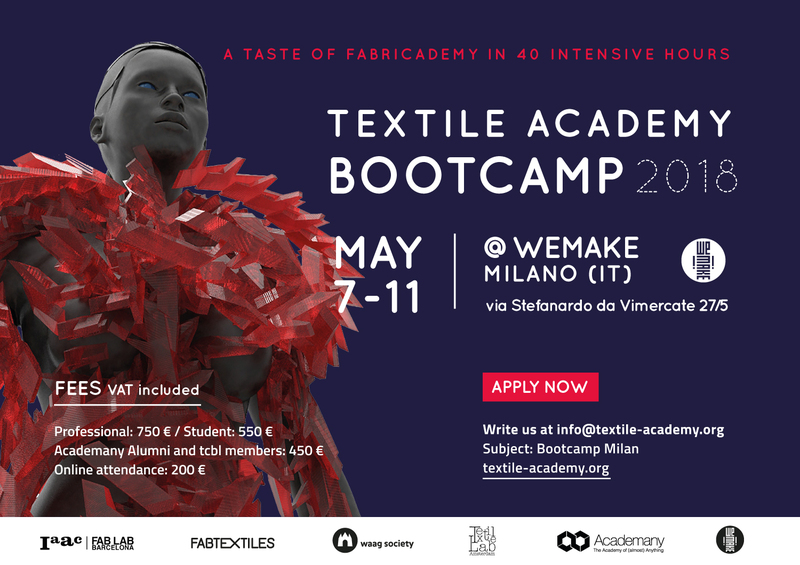 Join us to this intensive 40h bootcamp at WeMake Milan, hosted by Zoe Romano. We believe that fashion education should be updated, embrace multidisciplinarity and change the current model of fast fashion to customised and sustainable. We love making , experimenting and innovating using hands on bottom up approaches and new technology. In this 40h course, we have included all the new tools a fashion designer should learn! If you are an educator, a professional or a student this is the course for you! Project development in groups every afternoon 16:30-19:00. If you have a VAT ID please contact us at info@textile-academy.org in order to discount the VAT in the purchase.